Have you heard of Fizzy Party Trop Fest? It's a fun craft night, networking and so much more event taking place in Portland, Oregon on July 27, 2016 at Opal 28 Limited tickets available so be sure to get yours before they're all sold out!! I'd LOVE to have you come craft with me. And be sure to tell your friends! We'll be painting fun trinket dishes. 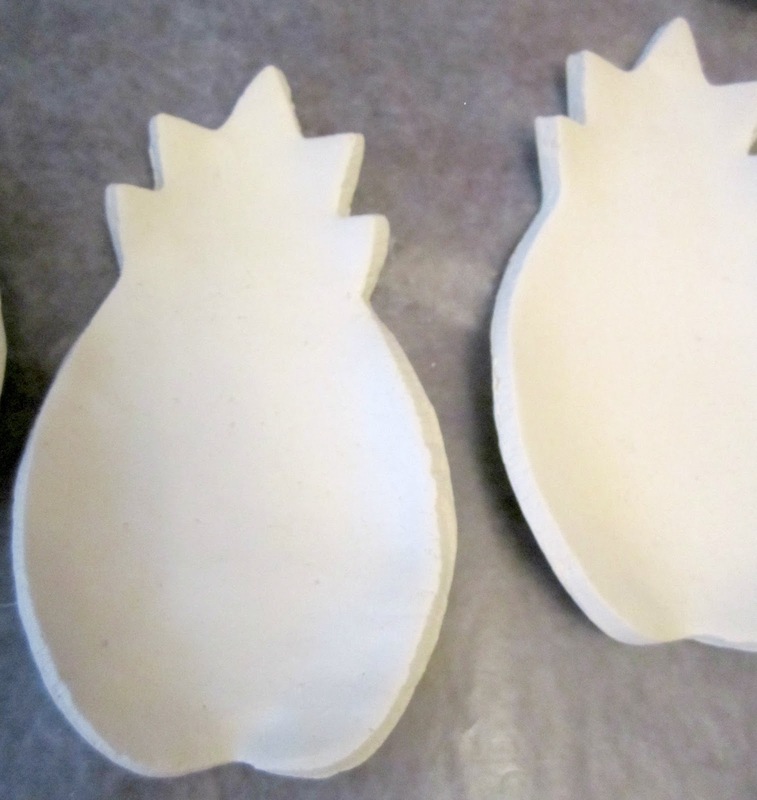 I'll have pineapple shaped ones and circular ones ready to paint. 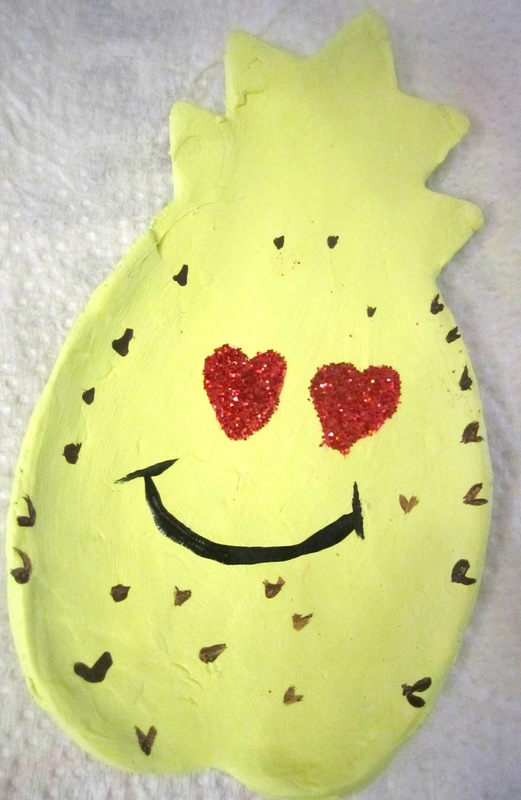 I've been busy making pineapple shaped trinket dishes for the event. Plain and ready for your colourful creations. I have to have a sample one for the attendees so I got out the paints and glitter which I'll be bringing to the event, of course! 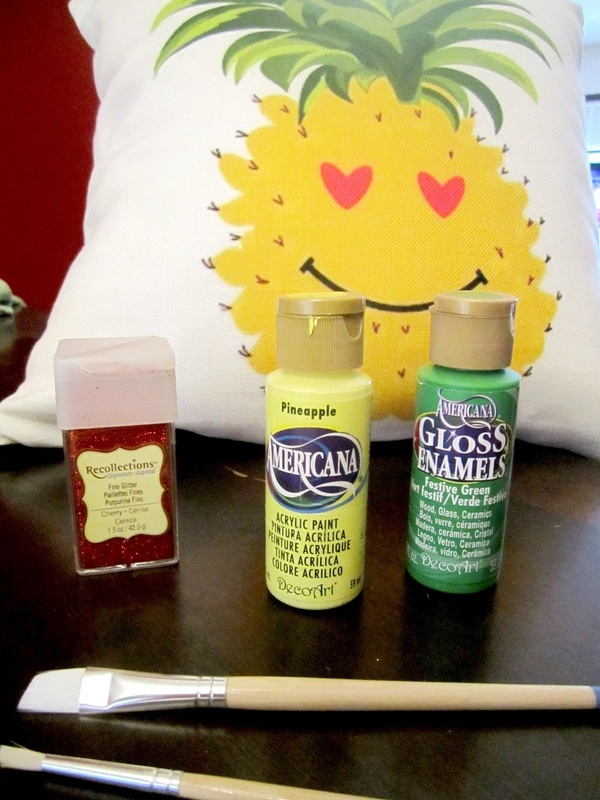 Glitter is a must for my crafting. My inspiration was this adorable pillow I created at Shutterfly with a graphic created for me by Small Moments. 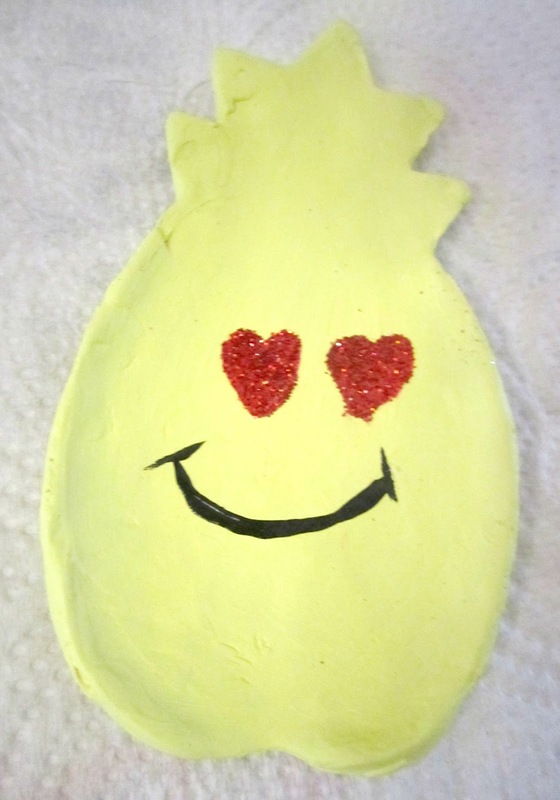 I started out painting it with a base colour of pineapple yellow then added the smiley face and red hearts eyes which look so much better with glitter don't you think. 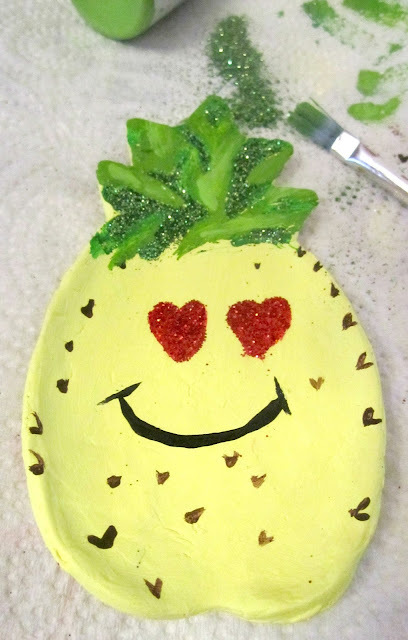 Time to add the festive pineapple top. Multiple colours of green give it depth and...GLITTER!!! Ta-Da! My finished little trinket dish. 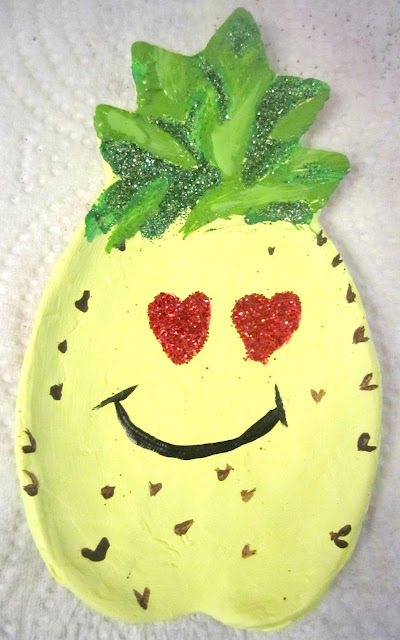 Isn't he cute :D Come out and paint one with me and enjoy a huge dessert bar, so many photo ops you'll blow up your Instagram and some serious swag!! Come out for an evening of FUN!!!! Tickets available HERE The first 10 people to come get a super special swag bag, woo hoo!!!! I wish I could make it! Sounds like so much fun!!! Dawn you would have had fun! If I could find a way to swing it I would totally bring it to Alaska.